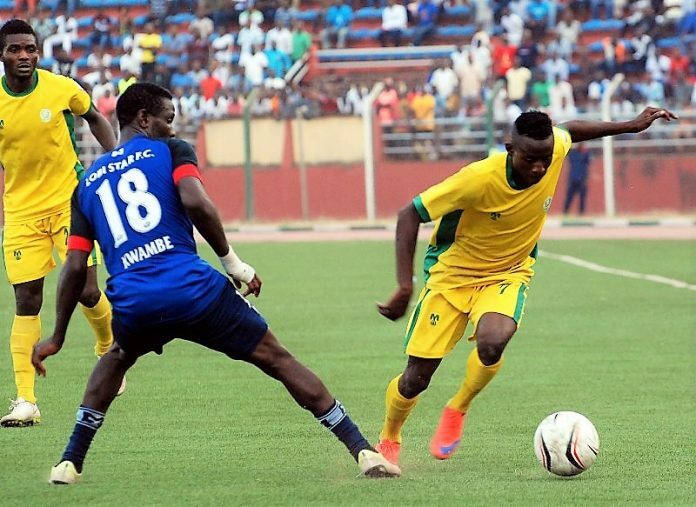 Lobi Stars of Makurdi defender, Solomon Kwambe has promised that he and his teammates will not get carried away by their opening group match victory against Memalodi Sundowns of South Africa in the CAF Champions League, footballlive.ng reports. 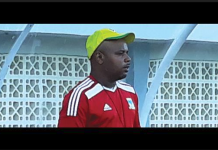 Although Kwambe admits Lobi Stars were the underdogs in the game and their victory cane as a surprise to many pundits, he believes his team are capable of pulling off more shocks in the elite competition. However, the former Sunshine Stars of Akure full-back, who was once a regular in the main Super Eagles roster, adds that the Middle Belt club will not put the cart ahead of the horse. 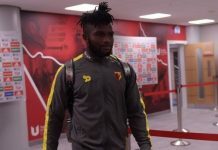 Rather than to start thinking of winning the continental title, Kwambe says they will take each match at a time, but play with all determination and aspiration, with eyes on a successful end to the competition. “We know that many people did not believe we would beat Mamelodi Sundowns; that’s why I am very happy with our victory. “I am excited and I believe we can go far in this competition, but we will will not get carried away. “We will just play it each match at a time and see what the end will bring for us eventually,” Kwambe concluded. Next articleDouble tragedy struck Plateau United General manager after been fine by LMC the same day loss his younger brother to cold hand of death.